On August 20, a group of Austin Methodists, organized by Joy Butler, took a road trip to Waller Texas. 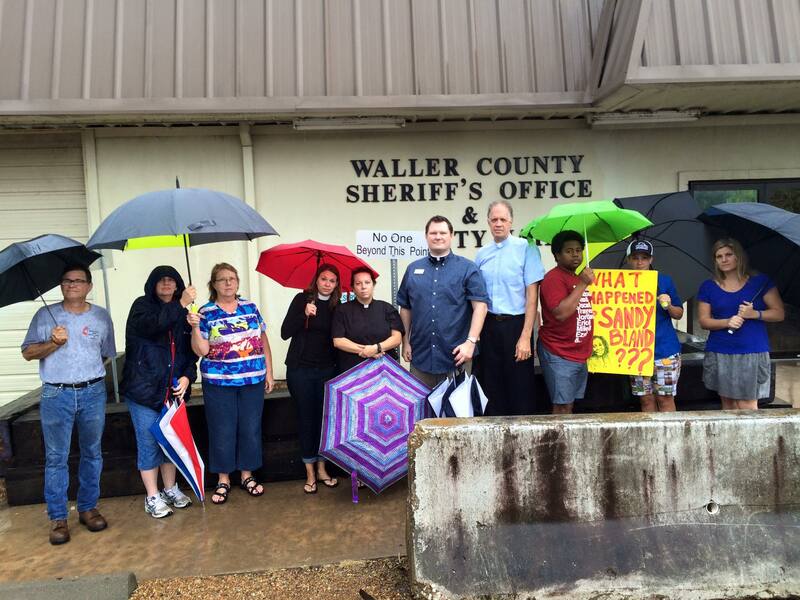 We didn’t let rain keep us away from our quiet vigil at the Waller County Sheriff’s office. Four Austin UMC pastors, Michael Mumme, Cathy Stone, Hilary Marchbanks, and John Elford offered prayers and support for a Methodist pastor from Houston, Hannah Adair Bonner, who has provided a presence at the Waller County Sheriff’s Office since the first day after Sandra Bland’s death there on July 13.